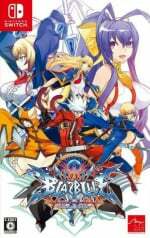 BLAZBLUE CENTRALFICTION Special Edition (Arc System Works Co., Ltd., Today, $49.99) The definitive edition of the BLAZBLUE series, BLAZBLUE CENTRALFICTION, is the most-played 2D fighting game in the world featuring with beautiful graphics and a well-designed, fighting system. 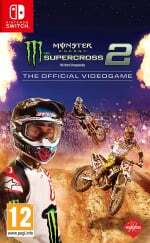 Monster Energy Supercross - The Official Videogame 2 (Milestone, Fri 8th February, $59.99) The official Monster Energy AMA Supercross Championship game is back! Live like a champion with the updated career mode and set weekly activities in your agenda: new challenges, sponsors and incredible prizes all await you! 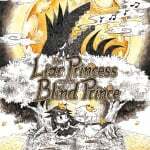 The Liar Princess and the Blind Prince (NIS America, Tue 12th February, $19.99) Plucked straight from the pages of an ancient fairy tale, The Liar Princess and the Blind Prince tells the story of two lonely hearts brought together through a mutual misunderstanding. Transform between the wolf and the princess to solve puzzles and evade traps, collect flowers and petals to unlock fragments of memories, and weave through the dark and dangerous forest to guide the prince toward a cure. But be warned... an all-seeing forest is no place for a blind prince. AWAY: Journey to the Unexpected (Playdius, Today, Today, $16.99) Welcome to a feel-good FPS! A colorful adventure combining action, negotiation and rogue-lite elements. You play as a kid that is neither a hero nor a warrior. Yet with the power of friendship, you will overcome every obstacle in your way! Choose your path through the levels, uncover the light-hearted story, and above all, recruit allies. 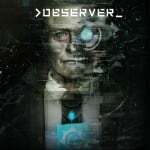 Observer (Bloober Team, Today, $29.99) >observer_ is a cyberpunk, detective thriller set in the year 2084 in Krakow, Poland. The world lies in ruins with corporations seizing power after the fall of governments. You do their bidding. No lie will remain hidden from you, as you hack into the minds of those you interrogate. When your past catches-up, you must act on your own and unravel the mystery of your son’s disappearance. Your name is Daniel Lazarski, you’re an Observer. Read our Observer review. 99Moves (EnjoyUp Games, Fri 8th February, $2.99) 99Moves, a retro arcade game where you will have to survive with just 99 Movements. Without a heading in the galaxy, all was lost because your energy was about to run out... gravity would chart the course of your destiny... Suddenly, V-99 entered a zone called Shaders, which provided energy... It was a new opportunity to survive. However, it was not all good news, as you only have 99 energy pulses to move through the Shaders zone. Access Denied (Ratalaika Games, Fri 8th February, $4.99) Calling all safe-crackers and lovers of puzzle games! The time for testing your brain, whilst listening to rain and thunder has arrived, as try your hand at a series of puzzles that are playable across 36 levels. Ancient Rush 2 (Heideland GameWork, Fri 1st February, $9.99) Old Legends surround the long forgotten kingdom of Ozolan. They tell stories about Chulua, the former Ruler of Ozolan, who is said to have buried himself in his own treasury, only using his bare hands. Arcade Archives MOON CRESTA (HAMSTER, Thu 31st January, $7.99) "MOON CRESTA" is a shooting game produced and released by Nichibutsu in 1980. Players control Unit1 and Unit 2 and Unit3 of the airplane, and coalescing these airplanes, will defeat the enemies. 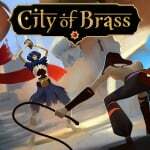 City of Brass (Uppercut Games, Fri 8th February, $19.99) Become a daring thief in City of Brass, a first-person action adventure from senior BioShock developers. Armed with scimitar and a versatile whip, you’ll lash and slash, bait and trap your way to the heart of an opulent, Arabian Nights-themed metropolis – or face certain death as time runs out. Defense Grid 2 (Hidden Path Entertainment, Today, $19.99) Defense Grid 2 is an award-winning tower defense strategy game. A horde of enemies is invading and stealing your cores, now it's up to you to stop them by strategically building towers at your base. Doom & Destiny (Heartbit, Fri 8th February, $11.99) Four nerds, drawn into a fantasy world and mistaken for heroes, have to battle their way through a massive, crazy adventure and defeat a preposterous villain! Doom and Destiny is a turn based hilarious jrpg where you take control of a party of four everyday friends. Journey through an unpredictable story filled with parodies and cameos. Start your adventure in a classic dungeon with dragons, save princess with the help of green-dressed elf and then fly to manga-themed city with the help of a famous italian plumber. This is Doom and Destiny, the flying-spaghetti fantasy adventure! Estiman (Arts Alliance, Today, $3.99) Estiman is an original, engaging arcade game based on one of the processes our minds work with every day – estimation. With combos you can keep going forever (if you have the skills! ). The sweet, minimal visuals will appeal to your aesthetic sense, and an adaptive difficulty level turns this simple concept into a compelling and satisfying game. Evoland Legendary Edition (Shiro Games, Today, $19.99) Evoland is a journey through the history of action/adventure gaming, allowing you to unlock new technologies, gameplay systems and graphic upgrades as you progress through the game. Inspired by many cult series that have left their mark in the RPG video gaming culture, Evoland takes you from monochrome to full 3D graphics and from active time battles to real time boss fights, all with plenty of humor and references to many classic games. Freecell Battle King (MAKING, Thu 31st January, $7.99) Battle play is exciting ! Clear speed is the key ! Sharing one unit,two Switches or online, enjoy the fun of competition with freecell ! The tasks are 3000 questions! There are ordinary "KING Mode" and easy "MAY Mode". Collect the "collection" by clears to color the game screen. One-player is also enrichment ! There is also a mode that you can play easily. Joy-Con or play with touch ! Play with your favorite style. Food Truck Tycoon (Baltoro Games, Fri 8th February, $4.99) Test your skills and talent as owner of a busy food truck! Your only job is to take orders, prepare food and serve to as many customers as possible. Be careful not to burn the food! Fulfill your dream of becoming the tycoon of the best food trucks in the city! Glass Masquerade (Digerati, Thu 28th February, $11.99) Welcome to Glass Masquerade – an artistic puzzle game inspired by Art Deco and stained-glass artisans of the 20th century. Combine hidden glass pieces to unveil clocks and themes exhibited by various cultures of the world at the 'International Times Exhibition' - an interactive electronic show. Gnomes Garden: New Home (8Floor Games, Today, $4.99) After defeating the sorcerer collector, the gnomes returned the castle to its old form. But it still stood in the grey wasteland, and there nothing could grow. The princess was worried that her people would soon run out of food and start to starve. Iron Crypticle (Tikipod, Wed 13th February, $9.99) The glorious Royal Treasures of Cryptonia have been stolen! Now the King’s washed-up knights must suit up and descend into the ancient palace crypts to return those GOLDEN GOODIES! Get ready for GHOULISH arcade action in this epic medieval twin-stick dungeon shooter. Up to 4 players (local co-op) can fight together to SMASH through all manner of ghouls and fiends. Grab loot and gobble up food to build up your XP. UPGRADE your abilities to help you face the challenges of the lower floors! UNLOCK new weapons and magical items as you progress. Collect magical gauntlets to power your explosive ATOMIC FIST! 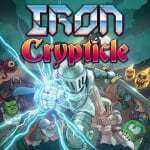 Weapons at the ready - prepare yourself for IRON CRYPTICLE! Magic Scroll Tactics (Mediascape, Today, $11.99) Magic Scroll Tactics is a side-scrolling tactical RPG where height is key. But be warned, simply holding the high ground won't ensure victory! Raining arrows down on your hapless foes is only one part of this simple yet deep strategy game; you'll need to master a wide variety of abilities and units if you wish to conquer your perilous foes. Mercury Race (Herrero, Today, $7.99) Mercury Race is a shooting & racing game set in a retrofuturistic world. Finish each circuit in time to obtain the badge and achieve ranking number one. The game will challenge not only your driving skills but also your shooting accuracy. Minesweeper Genius (Level 77, Tue 12th February, $5.99) Inspired by the classic computer game from our childhood - as well as sudoku and picross - Minesweeper Genius is a brain teaser that will challenge your mind and logical thinking. Percy's Predicament Deluxe (Maestro Interactive, Today, $5.99) Percy's Predicament Deluxe is a single player game in which you control Percy Penguin, who has become trapped within a magical orb. You must navigate the course and collect all the fish before the time runs out! 100 Levels and six different environments each with their own musical themes means the fun never stops! Ping Pong Trick Shot EVOLUTION (Starsign, Tue 5th February, $4.99) This is an action puzzle game in which you throw ping pong balls into a cup. Control your character, position, angle and power when you throw the ping pong ball. Pocket Academy (Kairosoft, Today, $12.00) School got you down? Wish you could change a few things? Well, now's your chance to create the ultimate dream school in this simulation smash-hit! Tailor your personal academy as you see fit, erecting classrooms, making clubs--even deciding this week's hot couple! How will you expand your hallowed halls of learning? 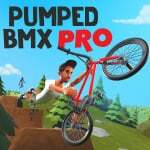 Pumped BMX Pro (Curve Digital, Today, $14.99) Pumped BMX Pro puts you back on the seat for another high adrenaline, fast-paced trickathon where chaining massive combos could put you at the number one spot on the global leaderboards. Reverie: Sweet As Edition (Rainbite, Today, $12.99) With restless spirits threatening the safety of Toromi Island’s inhabitants, Tai must venture through dangerous dungeons and across a variety of environments to put the spirits to rest. All in a summer holiday! Reverie is an action adventure game set on a fictional island in New Zealand, inspired by the legend of Maui and the Giant Fish where the demigod himself fishes up the North Island with a powerful fishhook. 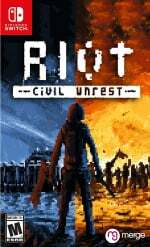 RIOT - Civil Unrest (Merge Games, Tue 5th February, $19.99) RIOT – Civil Unrest is the highly anticipated real-time riot simulator that places the player right in the heart of some of the world’s most fractious clashes. Campaigns include: Indignados (Spain), Arab Spring (Egypt), Keratea (Greece) and NoTAV (Italy). Seventeen single level scenarios include Rome, Oakland, Paris, London and Ukraine. Shanky: The Vegan's Nightmare (Artvision Games, Fri 1st February, $6.99) Shanky - is a joyful meat grinder and mince is its movement force. Swallow up everything you can and collect Meat-Cola to stay on the move. Participate in a stunning story of love and self-sacrificing. Depending on the level, Shanky would change its movement force accessories to legs, wheels, wings and boat. During the boss battles, you would learn how to use its mince launcher. Collect Meat-Cola to expand Shanky's stomach and success is guaranteed. And remember - there is never enough mince, so keep grinding! Sky Gamblers - Afterburner (Atypical Games, Today, $19.99) This is the latest and greatest jet dogfight game, coming from the creators of Sky Gamblers, Battle Supremacy and Radiation series! Get into the cockpit and prepare to take-off. Unlock, upgrade and customize the weapons and defenses of more than 100 planes. Solitaire Klondike BLACK (Sanuk Games, Thu 31st January, $5.00) The classic single player card game "Solitaire Klondike" arranged to Cool version! 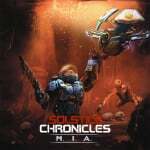 Solstice Chronicles: MIA (CIRCLE Entertainment, Today, $14.99) In a dead colony on Mars a corporate marine is left far behind enemy lines. With the unlikely help of an insurgent drone, he faces a battle for survival against an army of murderous, mindless mutants... and worse things. Spoiler Alert (Megafuzz, Fri 1st February, $4.99) Spoiler Alert is a video game that tests your platforming skills… in reverse. It’s a comedy platformer that you play backwards. When you pick this game up, it has already been beaten. Stunt Kite Party (HandyGames, Fri 8th February, $9.99) Stunt Kite Party is a family-friendly single player and couch-coop multiplayer game with an exciting storyline and endless fun in numerous game modes. Choose from eight playable characters and fly your kite in four scenic settings, where you can challenge your friends in either predefined matches or your own custom created tournament. 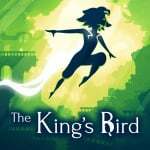 The King's Bird (Graffiti Games, Tue 12th February, $19.99) Escape into a world kept secret by a tyrant, and discover the truth about your freedom. The King’s Bird is an artistic, momentum-based game that seamlessly combines precision-platforming with physics-based gliding. The Stillness of the Wind (Fellow Traveller, Today, $12.99) One by one, everyone left the once bustling village for the city. Everyone, except Talma. Now approaching the end of her days, she maintains a simple, solitary way of life, surviving, subsisting, tending to her homestead and her goats. Develop your own personal routine as you care for your farm and your animals. Tend to your goats, make cheese with their milk, collect eggs and cook meals, grow vegetables and barter with the travelling merchant who brings increasingly disturbing letters from your family in the city. TORIDAMA: Brave Challenge (G-mode, Thu 31st January, $5.00) 『TORIDAMA: Brave Challenge』is mini game collection based on the courage test. Test your weak feeling inside of you as we say “Chicken Level” based on timing of pressing a button, level, and pitch in various kind of critical situations. Share play is available, so you can measure your "Chicken Level" with your friend. All game is playable with one buttom, so it is casually play with family and many friends in a party. What is more, Crazy mode which will be available after playing all the mini games, supports world ranking system. Let’s challenge how your "Chicken Level" would be amang against strong opponents in the world. Yo-Kai Watch 3 (Nintendo, Fri 8th February, $39.99) Mischievous beings known as Yo-kai are everywhere, and it’s up to Nate and Hailey Anne to befriend, battle, and solve problems with them. Follow two parallel stories and unravel the mysteries behind strange sightings while meeting over 600 Yo-kai and using the new 3x3 grid battle system to strategically dish out or dodge attacks. Read our Yo-Kai Watch 3 review. Vera Swings (Today, $5.99) After falling asleep while gazing at the moon, Vera dreams about swinging on the stars up to the magical place she’s always longed to visit. Help Vera reach the moon by swinging up the stars in this simple yet challenging platformer. Time your swings just right to catch the colorful stars and touch the glowing checkpoint to unlock the next level up. Hone your timing and precision skills as you swing from platform to platform and climb higher through the sky to make Vera’s dream come true! More Yo-kai, More Mysteries – To celebrate the launch of the YO-KAI WATCH 3 game, a new wallpaper reward is available through My Nintendo. Redeem your My Nintendo Points and download the fun YO-KAI WATCH 3 themed wallpapers. Check out the full list of deals available this week here. I own Defense Grid on another platform and let me say it’s probably my favorite tower defense series. I’ll be double dipping no questions asked. Next, absolutely getting Odallus and Oniken as those look sooooo good. Wish I snagged the physical copies instead of sitting on the fence! Great week! Looking most forward to Odallus/Oniken — they remind me of Batman on NES which I absolutely love. I hardly look at these lists anymore. Far to many games. I am sure a lot of good ones are flying under my radar. @gokev13 90% junk makes it less fun to look every week. Normally I am of the mindset of: more games means more Switch owners, which means more 3rd party support, etc... but this is getting to be too much. Luckily we have the internet to help research and discover smaller titles that we actually want, but it is getting very difficult with this much shovelware. Hopefully NintendoLife continues to help create lists of "actually good games that you may have missed", which is why I started coming to this site in the first place, back in the WiiWare days. In my opinion, that is the most valuable part of this site. I got Dandara on sale for 6 bucks. From what I've seen, it's a great little game. Why, Nintendo? 2019 has been pretty poor gaming on this system so far. I preordered AWAY. I love the art style so here's hoping it's good. A lot of good for nothing games. Where is Nintendo seal of quality? Extra Epic Yarn demo for me. A bold claim. Very bold indeed. 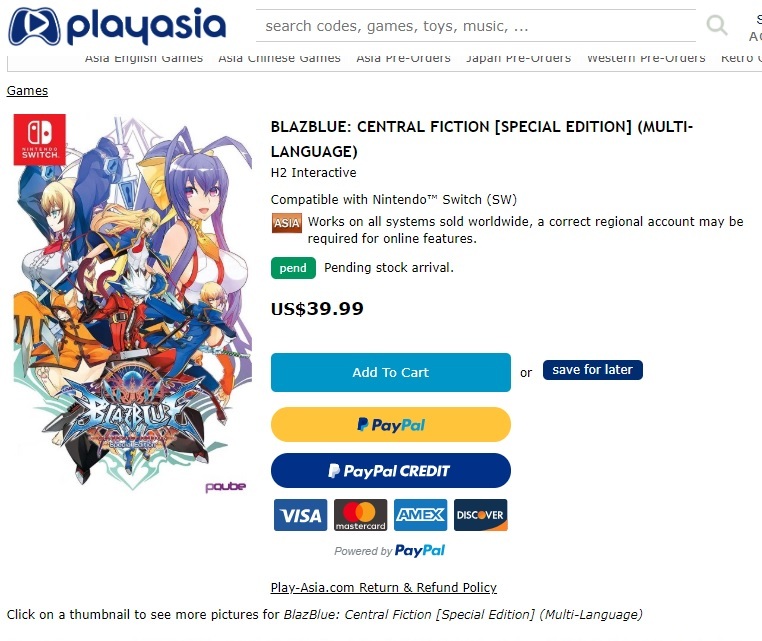 Wait does BlazBlue: Central Fiction for Switch had no physical release? Why Arc System Works? It is sad, but lately I assume most games are garbage unless I hear otherwise. Way too many to keep track of each week. Observer, The Liar Princess, and AWAY all look really interesting, but I'm holding off until I work my backlog down a bit. Nothing I’m 100% gonna get for sure, but there are quite a few that piqued my interest, including City of Brass, Evoland, Magic Scroll Tactics, Reverie, and The Stillness of the Wind. I’ll keep an eye out for reviews. @gokev13 Not only is it difficult to find games easily (without searching directly for a game by name) on the eShop, it's also hard finding games on the Switch home screen. I love the system but both the eShop & Home Screens need much better organizational tools. Wait, is the west only getting one version of Yokai Watch 3? @retro_player_22 Its on game for 35 pounds. More than likely on other sites too eg Amazon,Argos. Didn't notice i was posting on north america but it has physical in uk so it should be the same there. Check Amazon US and gamestop. Liar princess looks and sounds an interesting concept. I’ve ordered the physical from amazon US. Yes, the eShop is clogged with games I would consider junk. There are a few that catch my eye every now and again but I know I will probably never play them. Celeste, Undertale and Golf Story are up on my list of indie games I want but I keep putting them off because I still need to finish games like Octopath Traveler and Smash. Plus a load of others. Plus the NES Online service keeps sucking up my time. I’m getting Oniken for Shes I’ve beeb waiting for that one since it was announced! I'll be grabbing Yo-Kai Watch 3 at a later date. I hate to be this way, but those games usually drop in price after a few months. Plus, I still need to play my copy of Fleshy Souls. The eShop is a strange beast right now. We are almost done the Switches second year and it seemed pretty early on that people were hoping for an updated eShop. Now with over a thousand games it seems overwhelming to just browse through games to suddenly find one you think might actually be worth the time. Maybe Nintendo wants to mimic the feeling of digging through bargain bins and suddenly finding a game you had always wanted and thought you wouldn't be able to find. I love all the complaints. Too many games, too much shovelware, how many games does anyone actually buy/play? I find myself getting at least 1 game a week, whether I play it or not. I bought defense grid and bad north this week. Travis last week. I haven’t stopped play dark souls or smash yet. The 2-3 hours a day isn’t enough time to play all the awesome games there are. Not every game will appeal to everyone. 90% shovelware still mean 10% good games. I still still haven’t even gotten a few gems like hyper light drifter, ever space, star link and many more. Just need more time/money. I just done see the point in complaining that we getting a ton of games, good or crap. 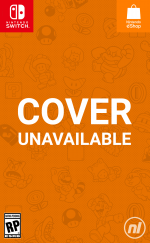 Nintendo has never been a dev to release a new game every week, or even month. But at least there is more then enough indies and ports to keep me occupied. I haven’t even touch red dead 2 on my ps4 yet because of my switch. I have Blazblue Central Fiction Special Edition on the way from Amazon UK so it'll be a while before I have it and I have Liar Princess and the Blind Prince Storybook Edition pre-order at Amazon US. Reverie, Liar Princess & Blind Prince, Oniken, Odallus, Observer, Doom & Destiny, Solstice Chronicles and Spoiler Alert sound interesting. I'm short of cash at the moment, but I'll consider them in the future. I went cross-eyed going down that list. I prepurchased The Stillness of the Wind based entirely on the eshop description and screenshots. It looks like an artsy game but I hope it's interesting to play too. In other words I hope it's fun to take care of your backyard farm and it isn't just story. I think Nintendo is banking on impulse purchases. Apparently, they see this type of purchase as more profitable, than fewer games, easily well-known for their very high quality, making profit over time. As I said, might as well call the e-Shop WiiWare, GooglePlay Store, or the Apple iOS store. Sadly, it's too easy to miss the gems, underneath everything else, that I'm sure is being downloaded by those, who literally just foolishly blow their income, only for a time-waster. That's where Nintendo must be focusing getting their profits from. Nothing for me! I have a giant backlog and the last Indie game that bought sucked, so I'll take a break from Indies and try to finish some of my retail games. These are the few that get my attention at present. Observer — I haven't read the review yet, but I'm interested in this one. Doom & Destiny — Love the satire on RPGs and the pricetag. Backlogged. Evoland Legendary Edition — Another self aware homage to RPGs of yesteryear. This, or Doom & Destiny? Or both? Backlogged for now. Oniken: Unstoppable Edition — Yeah. "Looks" like meat & potatoes type of 8-bit action that I'd love, but I'll need to know more first. Reverie: Sweet As Edition — I get this Zelda x Earthbound vibe when I see this game lol. I don't know if that means it's any good though, so I need to know more. Backlogged. I like Evoland and Evoland 2, but $20 seems steep. I've always wanted to check out Evoland, but pretty sure it's like 5 bucks on steam lol. Also Odallus I have on PC it's decent. @Axlroselm As a kid from the NES era, I can tell you that the seal meant nothing. It was just there to convince ignorant seven-year-olds (such as my 1988 self) that Bayou Billy was actually a playable game (it wasn't). It would be amazing if someone started a campaign to only buy games when you are ready to play them. A pile of shovelware again. @Gorfvic20 Konami was King in the late 80's on the NES and I remember having sky high expectations for The Adventures of Bayou Billy. But that game would have been the first Konami game that totally let me down. I remember really wanting to enjoy it, but it was just not fun. 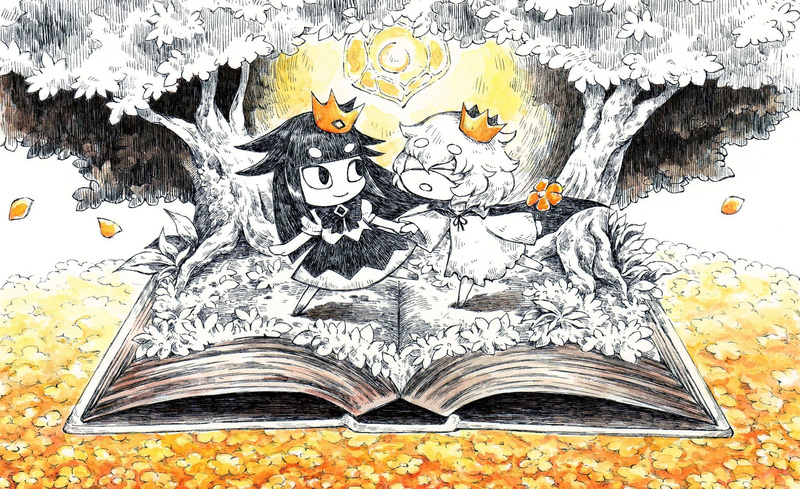 The Liar Princess and the Blind Prince is the only game that stands out, to be honest. I don’t have the time to look at all of these (mainly because I know most of it is junk); not that I could, given how cluttered the Switch eShop is. Honestly, I wish Nintendo was much more selective in terms of the Switch game situation. They’ve got the quantity, but they’re in dire need of quality on a regular basis. 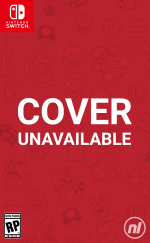 @JaxonH Yeah that's the thing when I heard a retail version I immediately thought physical copy would exist so I try to look at Amazon US to see if one is available but found none. Then I realize only Japan and UK will see one. For shame Arc System Works, guess I'll just import the multi-language version from Play-Asia again. @bones Yeah Amazon US doesn't list any so I guess NA lose another sale from me. Going to probably import the Play-Asia version anyways and also the Play-Asia multi-language version is $10 cheaper wtf Nintendo. I’m very curious about how the West will receive Liar Princess and Blind Prince. That was a game I was super hyped for but when I got to play it, I found it to be extremely mediocre and a complete let down. Pretty art style is not enough to make a game interesting, and with that game the art style is the only thing worth talking about. And let’s not talk about the price! A game not worth more than $20 but it was over $70 when I bought it. I could (should) have bought Xenoverse 2 with that money. Can’t understand what the issue is of still being behind a week on the Hamster games but Moon Cresta is an excellent forgotten classic shooter well worth the $8! But Puzzle Bobble 2 is this weeks Hamster game NL!! Will grab this as well! Liar Princess for sure, it looks fun and just a bit too cute to ignore. Odallus and Oniken I hear great things about but all the screenshots I've seen have this awful, fake TV screen look to them that I really hope you can turn off. I know there is a big market for sitting on your floor, trying to relive being 12 or whatever but I just want to play good games and if good games sometimes have 8bit graphics then whatever but please spare me the goofy filters and bubble screen effects. Nothing for me this week. Spending most of my time playing Wargroove and Tales of Vesperia. Still need to pop in NSMBU too. And I have been meaning to finish Shantae the Half Genie Hero. I need to dig into my backlog a bit. But I was considering picking up that visual novel: Planetarium. It looked like an interesting diversion. Oh and I think Nekopara Volume 2 comes out next week on Switch too! The 5 games I find most interesting this week are The Liar Princess and the Blind King, Riot: Civil Unrest, Observer, Iron Crypticle, and The Stillness of the Wind. @ICISAZEL Is it the North American version? Need some proof too. @NinChocolate ACA NeoGeo Puzzle Bobble 2 came out today on the US eShop, but the press release didn't list it (this has been going on for awhile. 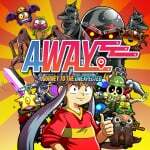 Don't rely on Nintendolife for US eshop ACA releases). I noticed Keen Dreams on the eShop too, which also isn't listed. Reverie, Liar Princess and AWAY. Yeah, these lists are too much work now. 97% junk. It would be nice to call out the genre at least next to title to help with discovery amoungst the 40+ games every week.